The Ka-Bar Baconmaker folder is a Steve Johnson Adventure design. 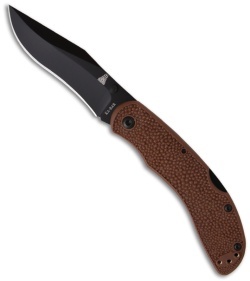 The AUS-8A stainless steel recurve blade is black finished and opens with the use of ambidextrous thumb studs. 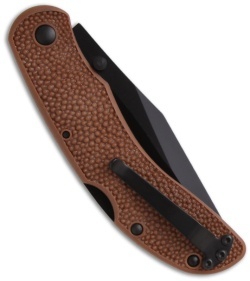 It features a textured brown GFN handle with nested liners and lock back mechanism. The pocket clip is reversible for right or left-hand carry.